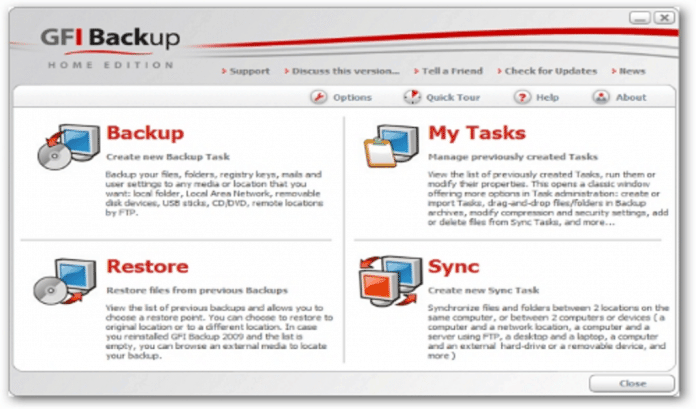 GFI Backup Home Edition for Windows has an easy-to-use interface full-featured backup/restore solution, to quickly backup and your most important documents, photos, music, emails and program settings. GFI Backup supports multiple backup destinations. GFI Backup home clear interface make it so easy to use for experts and amateurs alike. 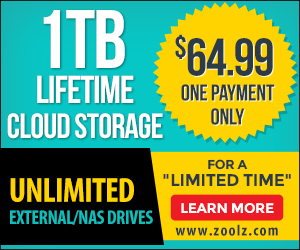 With GFI you can backup (Incremental and differential backups type) to any storage device connected to you r pc, restore is so easy and fast with GFI Backup using common ZIP format, also GFI provide a sync feature so you can synchronization between multiple devices and/or multiple backup locations. .